Q:I want to order 7 of these but with different initials on each. Do I have to buy this 7 times? Can I just give you 7 sets on initials to use and buy 7 at once? A:Yes, you would have to place this 7 time with each different initial. Q:So if I put ice in this and i open the bottom to grab a can, will all the water come flowing out? That's the only concern. If there is a solution to this you can just have my money. 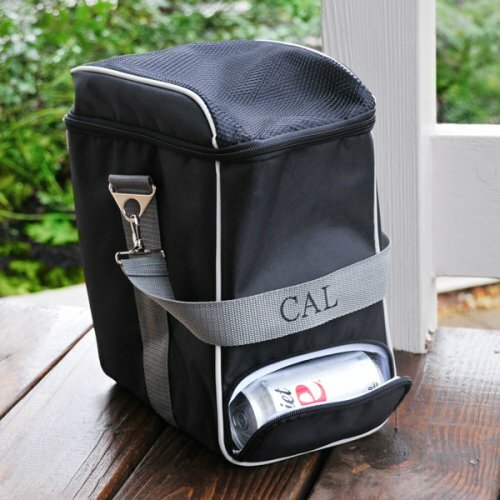 It's your wedding celebration, and now you can party wherever you want to with this practical personalized cooler! Made from heavy duty insulated nylon, this cooler bag features a foil-lined interior and a convenient U-shaped zipper closures at the bottom and top for easy interior access. These multipurpose bags make great groomsmen gifts, and are the perfect addition to guys' night, a tailgating party, or a backyard barbecue. 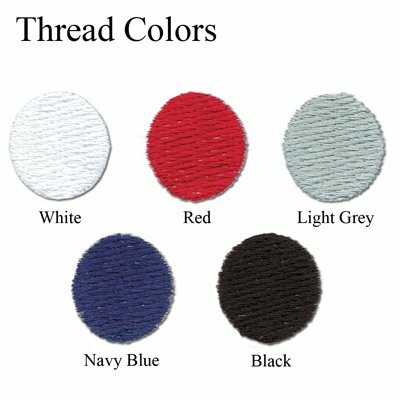 Each bag comes with a removable adjustable shoulder strap and can be customized with embroidered initials in your choice of thread colors.